The Swimming Pigs of The Bahamas have been around for quite some time but within the last few years, their popularity has skyrocketed. The pigs have been featured in television shows, morning news and even snapped photos with the Hollywood stars like the Gabrielle Union and Amy Schumer. 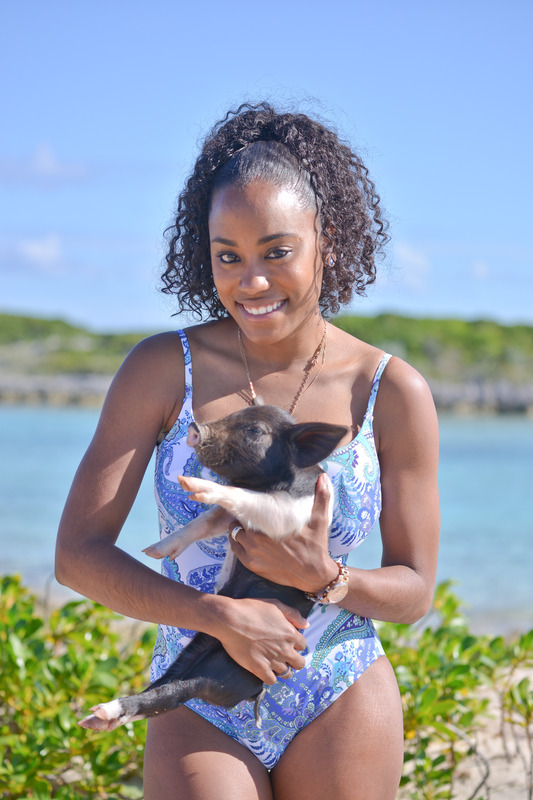 Locals and tourists alike have all flocked to The Exumas to catch a swim with or even feed the friendly pigs. ?? Over the past week or so there have been so many people around the world reaching out to me to inquire about the world famous Swimming Pigs of The Bahamas, thank you, while we are not personally related, they’re just like family 🙂 🙂 (I kid!). I’m sure they are happy for all of the care and concern. A number of the famous pigs on Big Major’s Cay recently died due to ingesting “sand material,” as per an autopsy carried out by local veterinarians. Many people who have upcoming visits to see the pigs have asked if they will still be able to visit the swimming attractions, yes, the remaining pigs are still swimming! Book a reputable tour company. Do bring a camera to take a selfie! Do not give the pigs any alcohol, soda or any beverage other than water. Do not feed the pigs, unless you are specifically given food by your tour guide. Do not sit on the pigs. Please, no piggie back riding! Do not pull the pig’s tails. Do not put your hand in the pig’s mouth. Be kind to our pigs. Do not steal any pigs. :)?? Remember, there are two locations in The Exumas where you can swim with the pigs, the main island where the famous pigs can be found is Big Major’s Cay, the other is a private island. Oh, one more thing, since you’re in the area, you might as well visit our famous Iguanas and friendly nurse sharks! Any recommendations for reputable tour companies that aren’t ridiculously priced?